In the course of this treatment of these topics he makes a detailed critique of certain novel presentations of themes found in the Magisterium from the time of the Second Vatican Council onwards. Amongst these doctrines is one he terms ‘Magisterial Personalism’ and another called the ‘Theology of the Body.’ Drawing upon scholastic philosophy and the perennial teaching of the Church, Don Pietro brings light to a subject recently plunged into obscurity and darkness that is not currently being dispelled sucessfully, even by the guardians of Truth themselves. Loreto Publications has just published an important and very timely book. 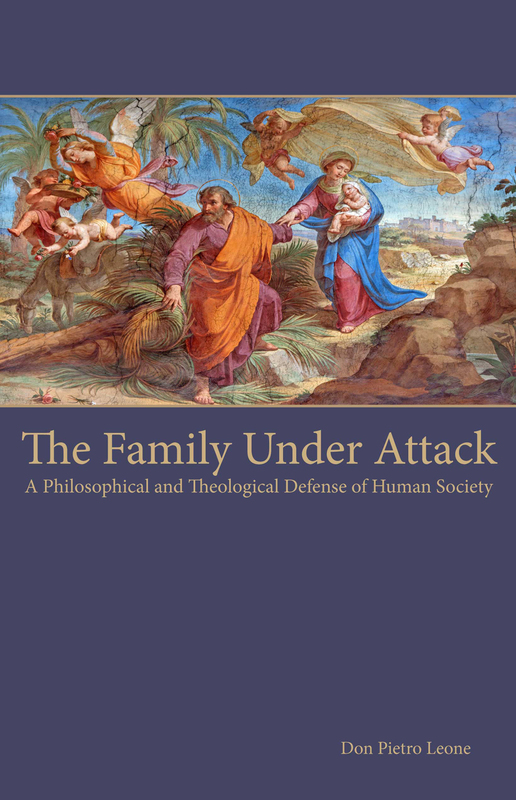 The Family Under Attack, written under a pseudonym by a traditional Catholic priest with broad and deep scholarly learning, comes right in time for the second part of the Synod of Bishops on Marriage and the Family, which will take place in October 2015 in Rome. Don Pietro Leone – the author's nom de plume – deals with all the major issues, problems, factors, teachings, attacks that concern modern marriages and families. The subtitle of the book sums it up well: A Theological and Philosophical Defense of Human Society. In a very calm and lucidly reasoning way, the author presents both in theological and in philosophical ways the doctrinal justifications for the traditional moral teaching of the Catholic Church. In the following presentation, however, I shall discuss only a few themes of this rich book: the ordered ends and purposiveness of marriage; contraception; the varied killing of pre-born children; and the hierarchical order of authority in the family. Don Pietro Leone also deals with the importance of the right order of the finalities of marriage, and he shows thereby where parts of the modern Magisterium of the Catholic Church have made some serious errors. He shows that, traditionally, the Catholic Church with reference to Holy Scripture has always taught that the procreation of life is the primary end (“finality”) of marriage. God created Adam and Eve and told them to go forth and multiply. The very fact of the existence of male and female lies in the procreation of children so as to fill the earth with mankind. However, the pastoral Second Vatican Council in the 1960s quietly reversed (or implicitly rescinded) this condemnation and even taught that the mutual love and respect of the spouses is now the primary end of marriage, while procreation is subordinate and comes second. Don Pietro Leone describes convincingly this fundamental doctrinal problem, since there are grave short-term and long-term effects of this novel teaching. While the procreation of life reminds the spouses of their duties before God and gives their conjugal life, from the outset, the right aim, purposiveness, and direction, the finality of “mutual love and help” tends to turn the spouses into more self-centered people who seek first their own fulfillment and happiness, not their children's – much less their children's aim and efforts for the challenging attainment of eternal life. If this reversal of priorities happens, however, a marriage tends to become more fragile, since it is so that, if that sustaining love and mutual help are no longer present, then the primary purpose for that marriage will also likely become obscure and even cease to exist and thus the marriage itself would be further endangered. Don Pietro Leone shows in other fields, such as contraception and the hierarchy in the family, how certain novel teachings of the Church have also had weakening effects upon the modern family. For example, he shows how, traditionally, and again with reference to Holy Scripture (especially Eph. 5), the Catholic Church has taught that the man is the head of the family, that he has to rule and to suffer, with perseverance and loyalty, for the greater good of his wife and children, as Christ did for His Church to the end. On this basis of that hierarchy (the vertical principle of order), the authority of the husband is strengthened, while, at the same time, it fortifies his vocation to sacrifice for his wife and children. However, the novel teaching, as is now to be found in Familiaris Consortio, says that husband and wife should mutually defer to one another, in a sort of diarchy of dialogue. The husband is not any more designated or at all described as the head of the family. The grave effect of this new teaching can be seen today: men are not any more as present in their families and they too often go to find their sought-for pleasures outside the home, or at the computer. Since they often do not feel any more respected and needed, they seek their putative fulfillment elsewhere. Whereas, in the traditional doctrine, the father was given his place of honor and authority and he thereby felt the importance of his role as protector and provider. These few quotations and supportive (and representative) examples should give the reader a little insight into how Don Pietro Leone argues in his book. He writes lucidly and convincingly, presenting sufiicient evidence to defend the validity of his theses. Very important is also his chapter where he deals with the killing of the unborn children in utero: the spiritual and psychological effects upon the mother who commits this act of murder – “the deliberate killing of the innocent” – as well as the pains which are inflicted upon the dying child. Don Pietro Leone also amply shows how, in this entire field, any violation of God's Laws will lead not only to much unhappiness, but also, finally, to dangers for the soul. It is to be hoped that each Synod Father – while preparing for the upcoming Synod of Bishops on Marriage and the Family – will find the time to read and deeply consider this book. This book, if fully appreciated and incorporated into the Church's thinking, could lead to a recovery of truths and insights which have been neglected and practically denied or bypassed for many decades now. A true evangelization of today's world has to start with the truth: The truth about nature; about God's Laws; and about the effects of immoral actions upon the individual soul as well as upon society. If this book is taken earnestly and gratefully by the Synod Fathers, we do not need to worry about the upcoming final report of the October Synod and its final message to the Catholics, as well as to the whole non-Catholic world. Don Pietro Leone, The Family Under Attack. 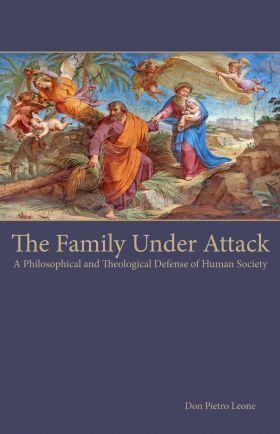 A Theological and Philosophical Defense of Human Society (Fitzwilliam: Loreto Publications, 2015).